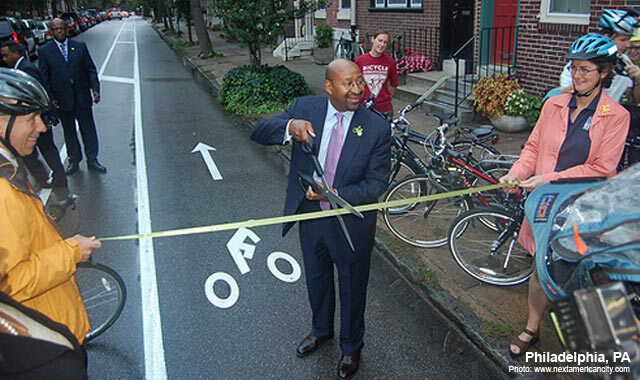 In 2009, the Mayor’s Office of Transportation in Philadelphia undertook a pilot project to evaluate the impact of a buffered crosstown bike lane on Spruce and Pine Streets running through the center city of Philadelphia. The project creates a buffer protected east-west bike route and provides a direct connection between paths on the Schuylkill and Delaware Rivers. 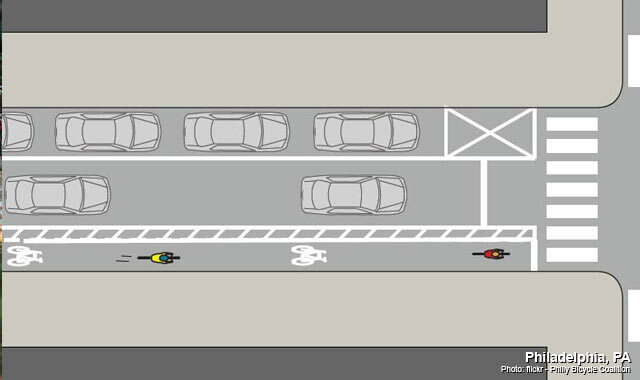 The buffered bike lane is 6’ with a 2’ buffer at most points along the route. The bike lane required the removal of a single traffic lane on both streets, which had low-traffic levels, and the retiming of a traffic signal at Broad Street. The pilot projects measured a 65-100% increase in bicycle traffic along the route and an 11% decrease in motor vehicle traffic. 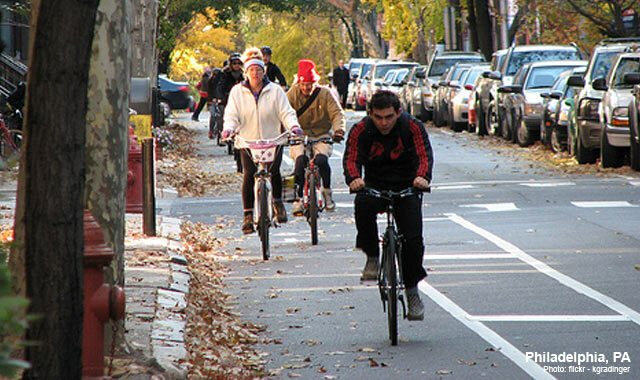 Following the pilot, the bike lane will be made permanent in coordination with a planned street resurfacing.